If you love baking, you will soon fall in love with baking tools. And, who doesn’t love baking? Part science, part craftsmanship, and creating something delicious once you are finished. And as all activities you do with your hand, notably, when it comes to food, baking fulfills a primal satisfaction within us that is becoming rare in a digital world. Especially when you are sharing the fruits of your baking labor with people you love. It’s an indescribable feeling. And even if you don’t like baking yourself, everyone enjoys being around someone who is baking. But where to start? As with any craft, you need the right tools. And for those of you wanting to dive into the world of flour, sugar, and yeast, here are the must-have baking tools. These tools belong in every cook’s kitchen. 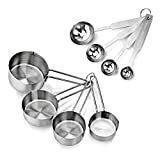 Essential means must-have, and these baking tools are the sturdy backbone of any would-be pastry chef or cake god’s kitchen. Like any good craftsman or artisan, a baker’s final product is usually only as good as their baking tools. 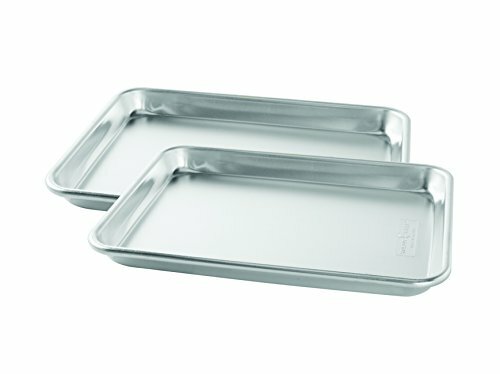 There are few things more essentials to baking than a baking pan, or dependent on what you want to bake, a baking sheet. Imagine owning the best stovetop money can buy, but you do not have pans. The same goes for the oven and baking pans. Without them, the expensive appliance of yours is useless. Chances are you will need either a pan or a sheet for every baking project you will ever start. Cookies, bread, muffins, you name it. As far as baking sheets go, we recommend rimmed ones. The Rim adds extra flexibility in protecting your oven from potentially hard to clean drippings and stains, while virtually having no downside. Use them anything you can think off. Cookies, sheet cakes, brittles, crumbles, roasting meats or vegetables. 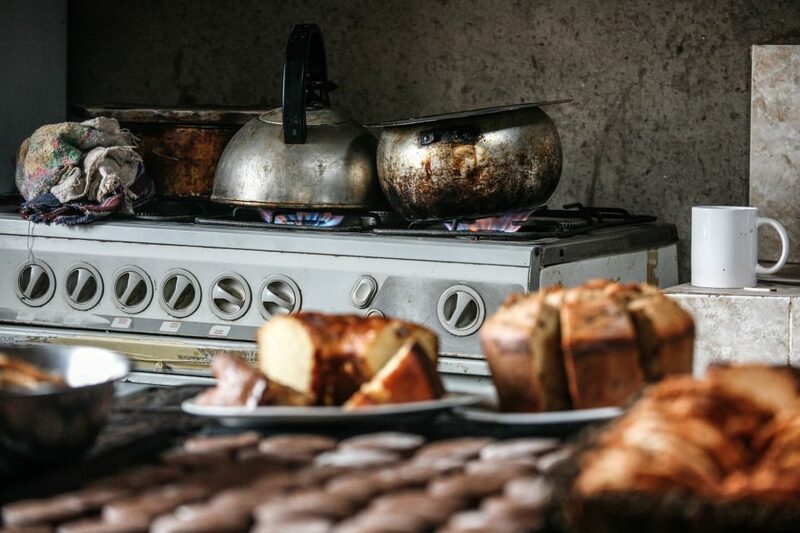 Baking pans come in all shapes and sizes and become irreplaceable for specific pastries. Try making muffins without a muffin pan. It is not a fun afternoon. You should probably own one or two 9-inch cake pans to cover your bases, as well as any niche pan you can dream of. It’s the first step to your baking tools collection. 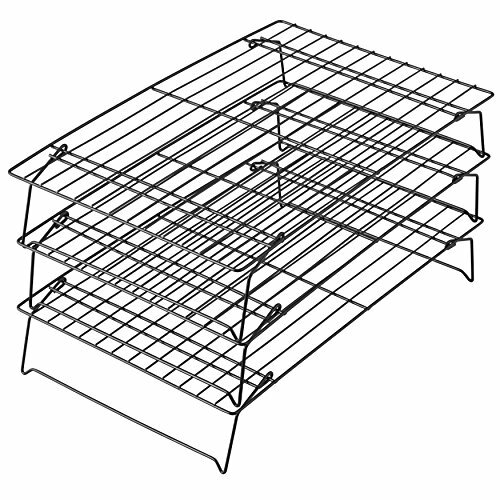 On first glance, a cooling rack appears to a somewhat odd inclusion to be a must-have. They are quite literally just metal racks on which to perch your (almost) finished product to cool down. While that is undoubtedly true, you have to keep two things in mind. Firstly, where else would you put your piping hot baking pans? More than one countertop has been accidentally damaged by hot metal. And considering that a cooling rack is rather cheap compared to a kitchen top, it seems like an obvious trade. 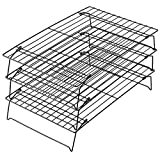 Secondly, and this is far more crucial, cooling racks are imperative to the cooking process of baking. If you left your tray or pan on a regular surface, no air would circulate on the bottom. The result of this is that the top of your baking project cools faster, while the base continues to cook, ruining those precise baking times you want to pay attention to. So, to assure even cooking, you have to ensure even cooling. Get two cooling racks, and save yourself from biting into an uneven piece of cake. While a food processor can understandably be considered a luxury in the kitchen, any hobby or professional baker pursuing their passion more than once a month can attest to the value of these machines. Chopping up food into tiny pieces is a massive pain in the rear. The KitchenAid, however, does that perfectly with the food processor attachment. It also has dough hook attachments and a variety of other accessories. 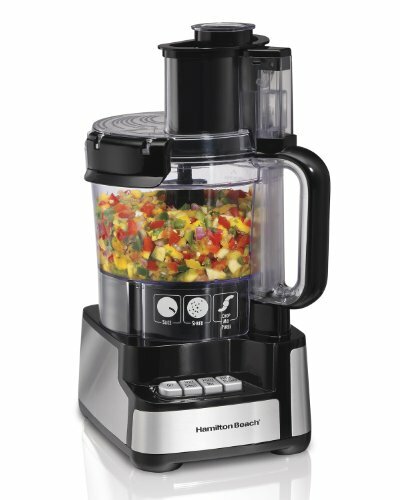 To make sure you are getting the best food processor, make sure to do some research. Fair warning, you probably should invest some money now, to avoid broken down machines and frustration later. It will be worth it. Unlike cooking, baking sometimes can be more science than art. Strict measurements of ingredients can make or break that birth cake you have been planning to bake for your loved ones. This cruel inflexibility only gets worth once you realize you made a mistake, but you are unable to change anything once the dough is in the oven. To avoid regret, tears, and cries of broken promises we recommend both an impeccable sense of detail, but more importantly a good set of measuring spoons and cups. Unless you have been baking for your entire life, they are essential. Your eyes only will not be good enough markers of accuracy. Get a beautiful set of different sized cups and spoons to cover every range of measurements you might encounter. Their straightforward nature means that unless you bought cheap, they would last you for decades. When push comes to shove, nothing beats the usefulness of your hands holding the right tool. Be it stirring, mixing, scraping the last bit of dough from a bowl, spreading frosting, etc. You’ll use a good set of spatulas for pretty much every piece of baking you want to tackle. Do make sure to take quality very seriously. A cheap spatula might work for something light but will most likely break the first time it faces any form of heavy dough. They come in all shapes and sizes, and numerous cool and funny designs are readily available. They also make great gifts. As far as whisks go, they are self-explanatory. 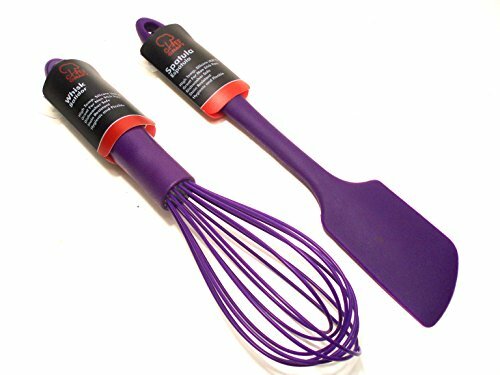 If you want to whisk something, you will need a whisk. End of discussion. 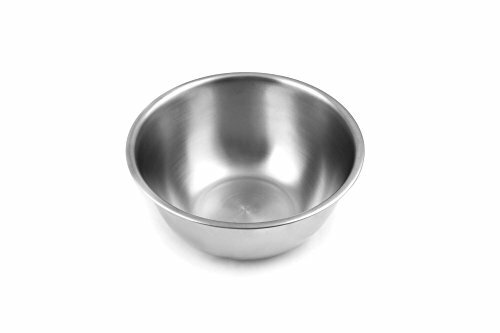 The last of the obvious essential of baking tools comes in a bowl shape. Mixing bowls, much like baking pans and spatulas, are non-negotiable for baking. Get a set of different sizes to cover every potential need that will ever arise in your kitchen. If you want to specialize in cakes, you can get a bowl with a pour spud attached to it for easier transfer into your cake pan. The only other recommendation you can give about bowls is to look out for bowls with a rubberized bottom. 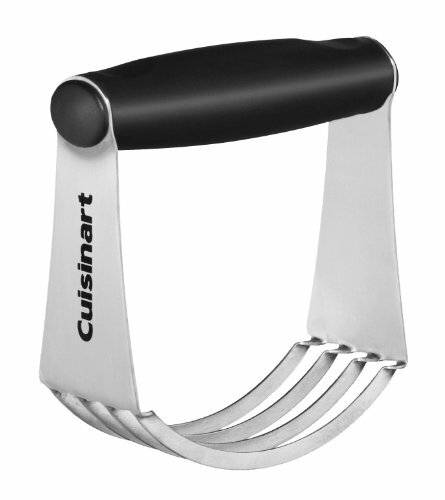 They will come in handy to make sure your bowl moving around, freeing up one of your hands. These tools have a job to do, and they do it well. As already pointed out earlier, baking demands a certain level of precision not all of us might be privy to. But even those among us sorting our socks based on color and pattern, the tools at our disposal not always reflect our best intentions. Nowhere rings this more true that with ovens. Unless you have a perfectly calibrated, brand new appliance, chances are your oven is lying to you. 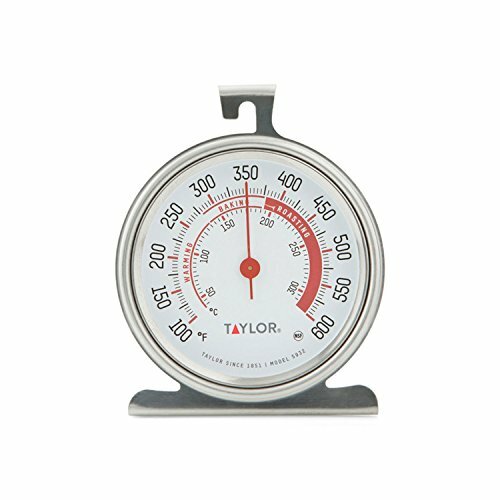 You might have set it to 350°F, it says it is 350°F, but in reality, it might be off by 20°F. And with baking’s demand for precision all the way through, this imperfection might lead to flaws in the finished product. And nothing has been your fault. 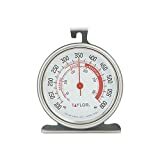 So to make sure your oven is not lying to you, and to stop the people in your life from calling you paranoid, get yourself an oven thermometer. Not only will you be able to assure the perfect temperature, but you will also bask in that sweet, sweet aroma of “I told you so!” Of all baking tools, what else can do that? While the chances are that your first thought is that a cast iron skillet is not part of the baking tools, you’d be wrong. This heavy-duty pan makes for a surprisingly versatile piece of baking equipment. Heavy and durable by design, they are fantastic heat conductors. 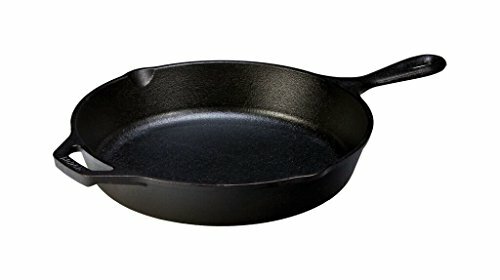 This makes cast iron perfect for anything that demands a great crust. Pies, cornbread, pizza, and bread. This skillet makes sure that the bottom will be as brown and delicious as the top. Take a look! Once you got found your perfect hunk of metal, make sure you treat it well. Properly taken care of it can last you for several lifetimes. 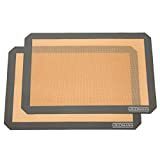 The observant ones among might think: “Why should I buy a fancy baking mat when parchment paper exists?” Well, you should add this to your baking tools because a silicone mat can is reusable almost indefinitely. 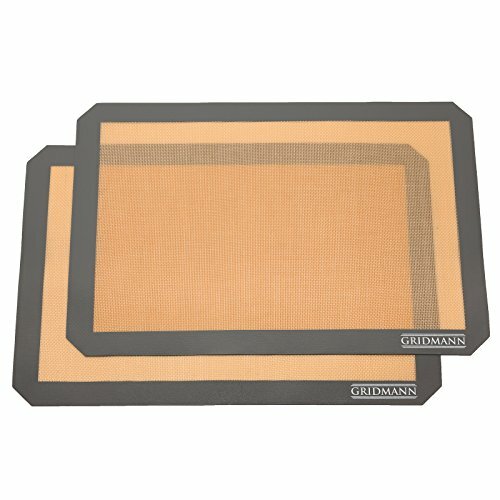 Outside the not to underestimate the environmental benefit of reducing the amount of waste you produce, silicone mats offer even more benefits. Unlike paper, they never try roll back or curl up, making them a hassle-free flat surface. Silicone’s ability to transfer heat nicely results in more even baking. They are non-stick, and best of all dishwasher friendly. Get as many as you need, as they are practically perfect. Arguably the most specialist item on this list of baking tools. But for anyone who has ever tried to make any flaky dough with a pastry blender knows that specialist is not a bad thing in baking. Scones, pie dough, crumble: Anything that needs you incorporate cold butter with other ingredients, without actually fully integrating it, requires one of these babies. On considering all of these goodies are delicious, you should think long and hard about buying one. They are also somewhat inexpensive, which never hurts. There you go. These are the must-items every baker should consider getting. And always make sure to share what you bake!